Ships today if you order in the next 2 hours 57 minutes. While magnesium provides a number of health benefits for optimal bodily health, it's also important for optimal brain health as well. However, magnesium is one of the top deficiencies in the human body, and while it can be found in a number of foods, sometimes supplementation may still be necessary depending on your daily diet. 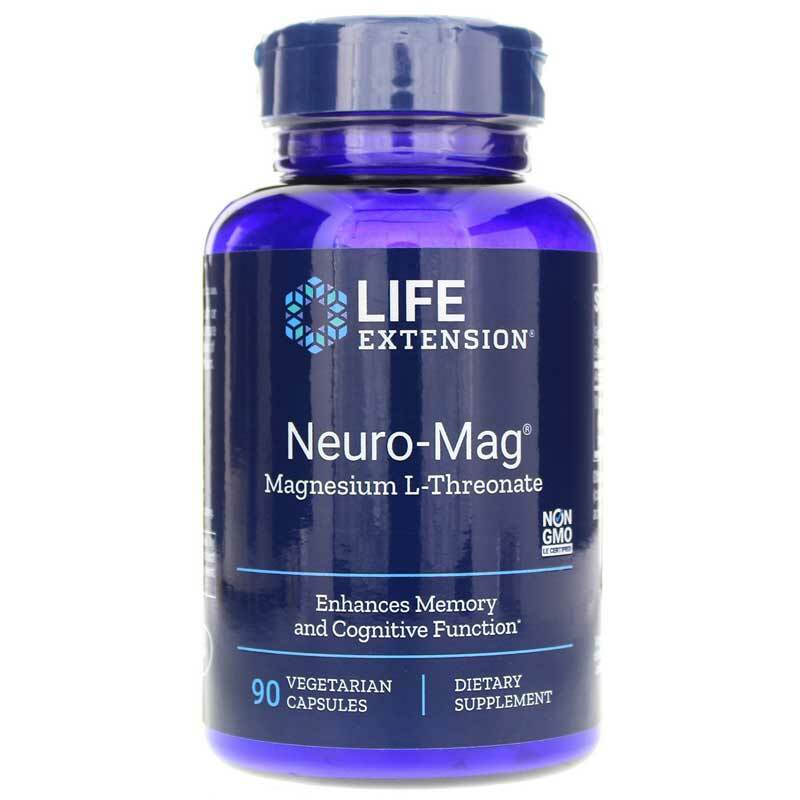 Neuro-Mag Magnesium L-Threonate from Life Extension delivers natural magnesium to provide optimal support for the aging brain and nervous system. 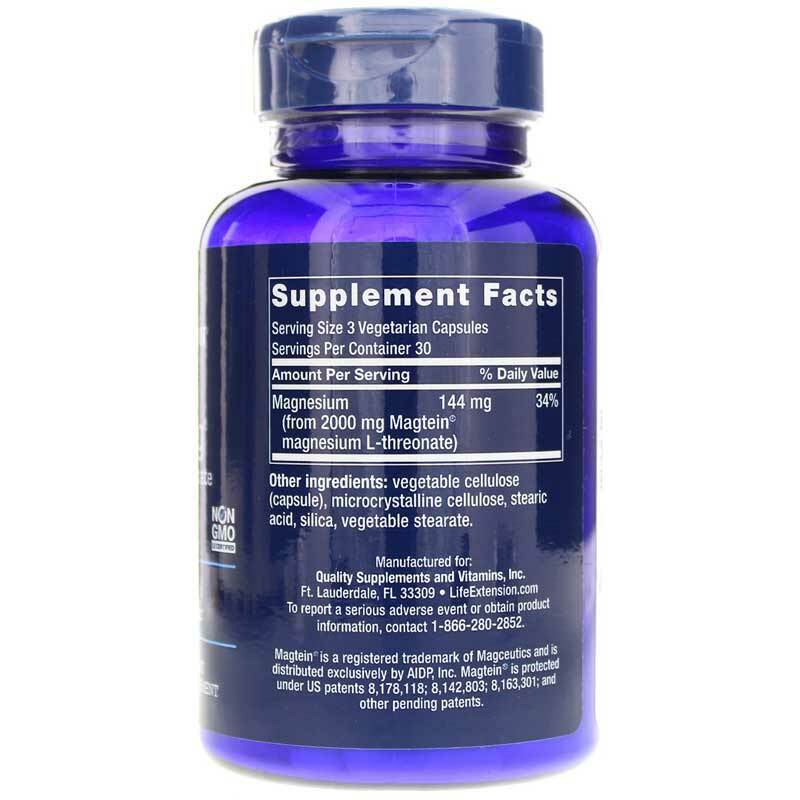 Life Extension's Neuro-Mag Magnesium L-Threonate is the ideal magnesium supplement for those who want to maintain optimal neurological health and boost their cognitive health, all while maintain optimal overall health. Other Ingredients: vegetable cellulose (capsule), microcrystalline cellulose, stearic acid, silica. Non-GMO. Adults: Take three capsules daily with or without food, or as recommended by a healthcare practitioner. I have decided to supplement my diet with L-Threonate magnesium - time will show the effectiveness. My doctor highly recommended this brand. 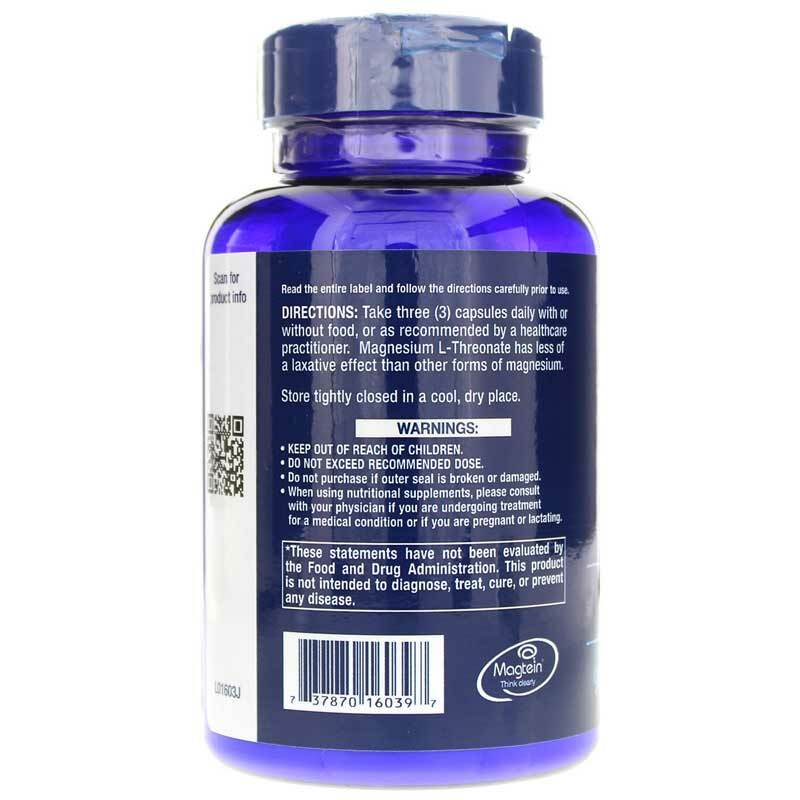 Neuro-Mag Magnesium L-Threonate by Life Extension is a fantastic product. I'd stopped using Neuro-Mag a couple months ago and had begun to notice a difference, so today I'm back on! This product was recommended to me by a pharmacist friend to help with my migraines. I've been on it for almost 3 months, and I've had a huge reduction in headaches! I have gone from 3-4 headache days a week, taking Relpax each time, to less than 1 headache a week. I highly recommend trying this product if you suffer from migraines. It can't hurt to try! I'm so happy that I did!